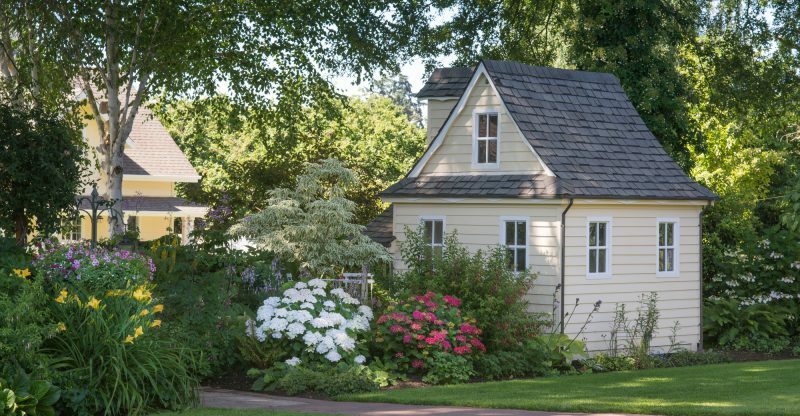 Building a tiny house is an opportunity to redesign and streamline your life. While most people tend to go it on their own, it’s worth taking as much as much advice as possible before the build to avoid unnecessary structural and legal problems. Once you get these things out of the way, you’re free to dream big and think about all the fun stuff about designing a tiny house like furniture, materials, and innovations to make your home inherently liveable. Stop what you’re doing and before you buy anything, check out these five killer tips for building a tiny house. 7 Are You Ready to Build Your Tiny House? The joy of a tiny house lies in bypassing local planning permissions and permits associated with more substantial structures. While tiny houses on trailers are often safe, a structure on the ground might be limited. Look towards your local laws before confirming the dimensions of your tiny house. Some smaller structures, like a tiny house the size of a garden shed, might not require planning permission. Once you reach a certain size, however, you might find yourself in an illegal small house. In most cases, your tiny house will be on wheels, which means you’re even more bound to the laws of physics than you might be on the ground. The weight of a house is a critical issue because it impacts your ability to transport your house safely. The “tongue weight” of the house must match the trailers reference by keeping an appropriate amount of weight on the front and the back. Check with your trailer manufacturer to find your weight limit before choosing any materials. Bonus Tip: Build your house on a steel trailer rather than a travel trailer to incorporate a stronger, stable base for your home without damaging the weight factor. Even those living in the tiniest studio apartments need to adjust to living in a tiny house. Make it easier by creating a functional floorplan that guides you around the house rather than hindering your every move. Computer design programs add another dimension to floorplan design. But you can get the best feel for your potential plan by jumping to step four. Attend local meet-ups with tiny house owners or minimalist groups to learn how they solved their problems. You’ll find that everyone shares a standard set of issues, but each person can come up with their solution. Can’t find a tiny house group? Start one yourself. A lack of floor space might initially prompt ideas for small tables, small cupboards, and small furniture. Unfortunately, little furniture is only fun for children. Planning this way damages the integrity and usefulness of your living space. Instead, think about using the space you have cleverly. Everything should be multifunctional and easy to switch between purposes. Are You Ready to Build Your Tiny House? These five tips for building a tiny house aim to get you on the road faster and with fewer design and planning issues. Click here for seven more tips for building a tiny home.